We have featured a wide variety of chargers for mobile phones here on Geeky Gadgets, but a new and innovative devices called the ChargeBite has been created and is now looking for funding via the Indiegogo website. 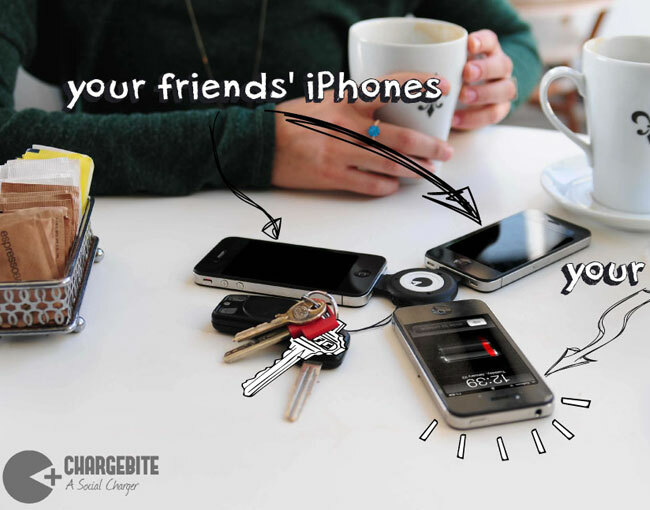 The ChargeBite requires no cables or extras and can be carried on your keychain, allowing you to syphon juice form friends mobiles when your battery becomes a little low. Watch the video after the jump to learn more about the ChargeBite project and see it in action. The ChargeBite project is currently over on the Indiegogo website looking to raise enough pledges to make the jump from concept to production. So if you think ChargeBite is something you could benefit from, visit the Indiegogo website now to make a pledge and help ChargeBite become a reality.